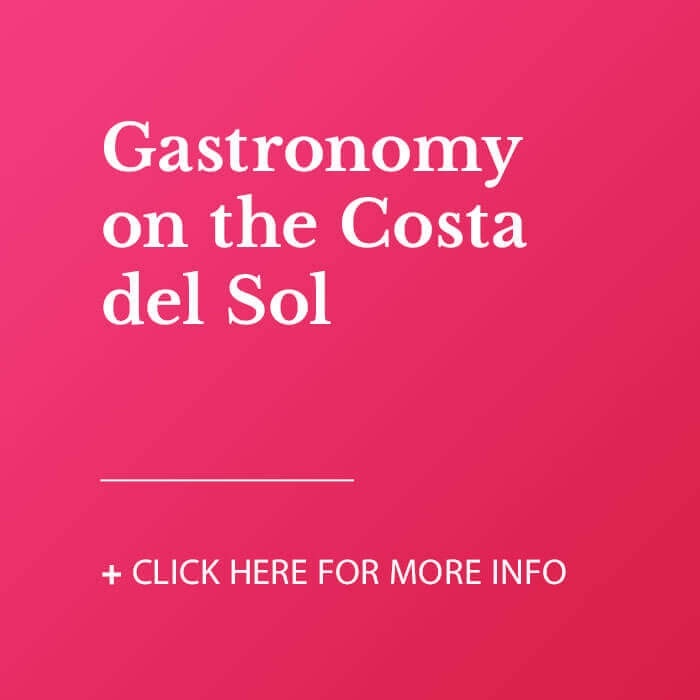 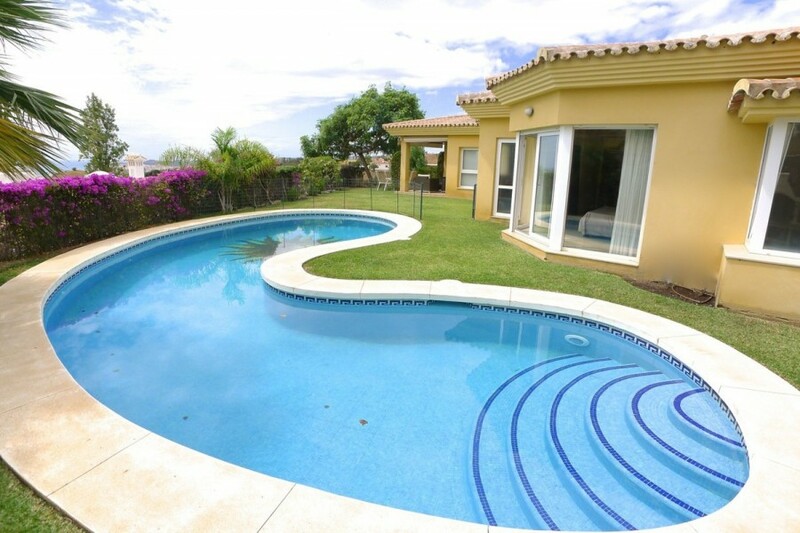 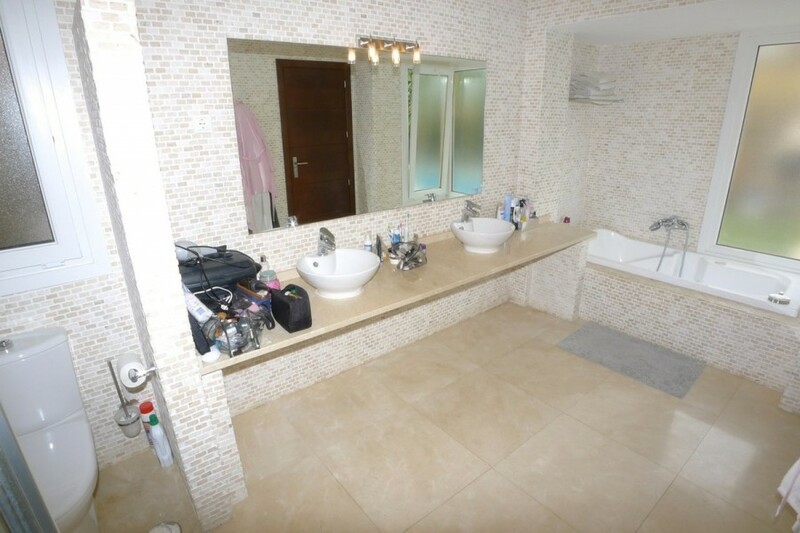 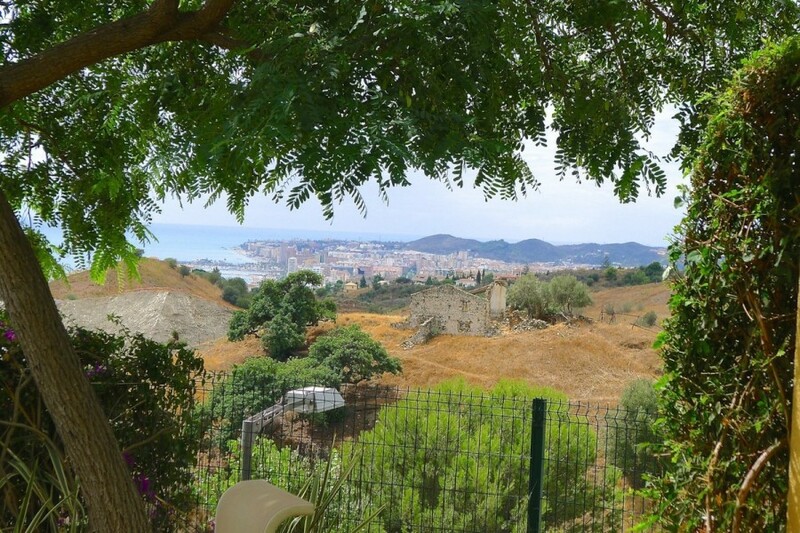 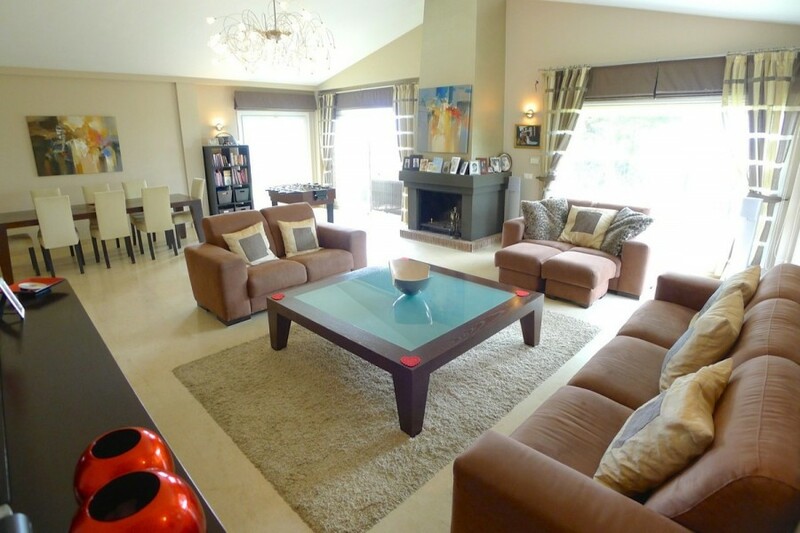 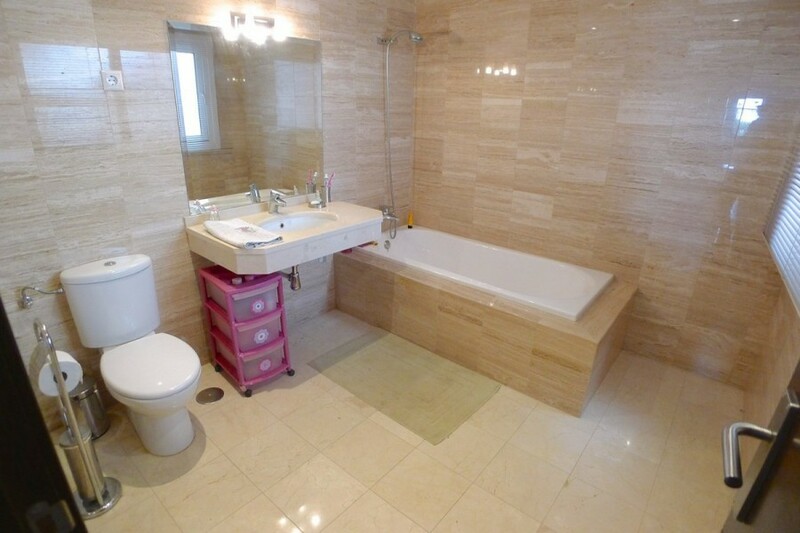 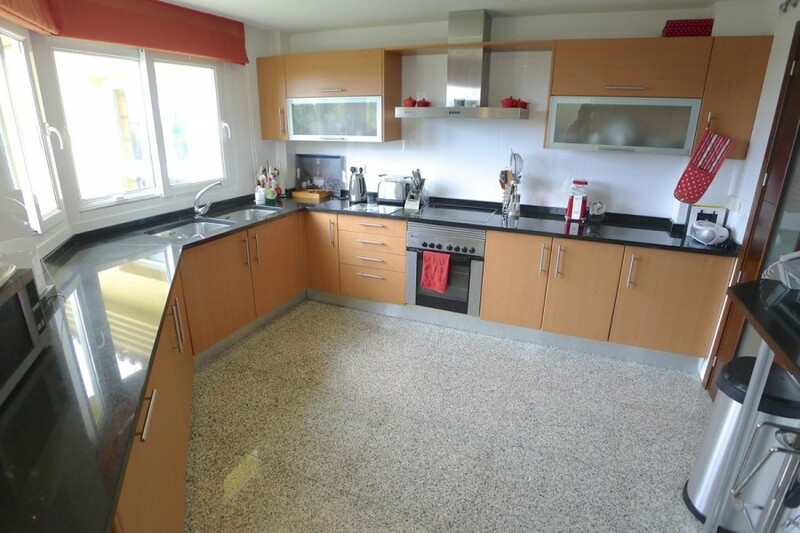 Beautiful one level luxury 3 bed villa with stunning sea views for sale in sought after luxury residential health/fitness resort "Reserva Del Higueron". 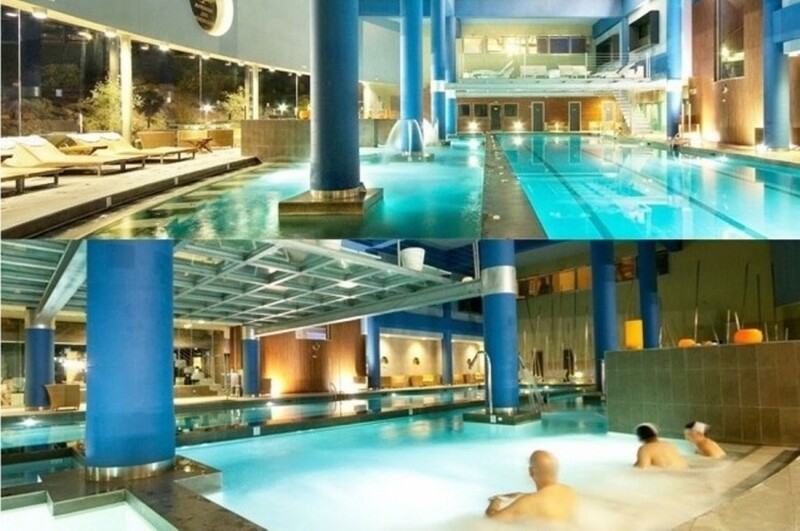 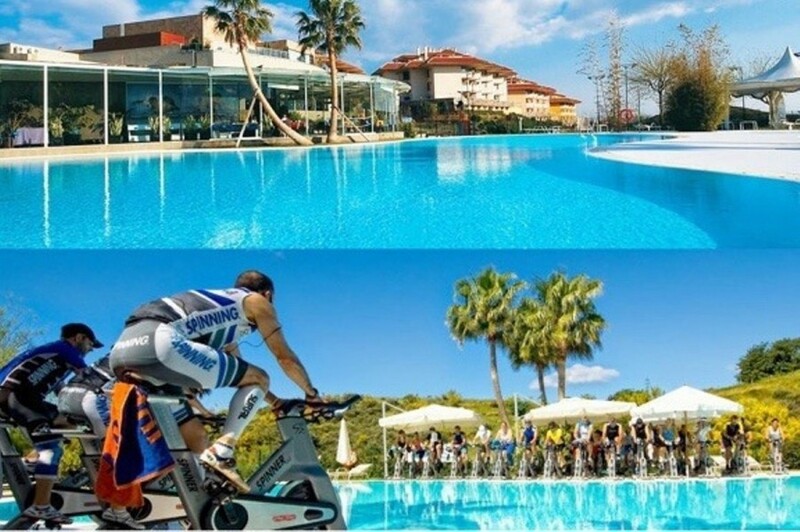 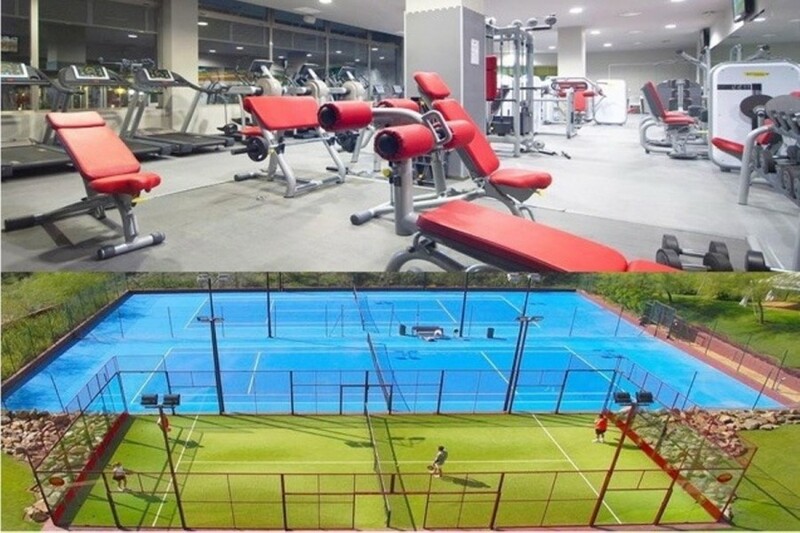 This sophisticated residential area is famous for its high quality sports and fitness facilities, including a Hilton Hotel with luxury spa, pools, sports club, roof top Michelin star restaurant, paddle tennis and volley ball clubs. 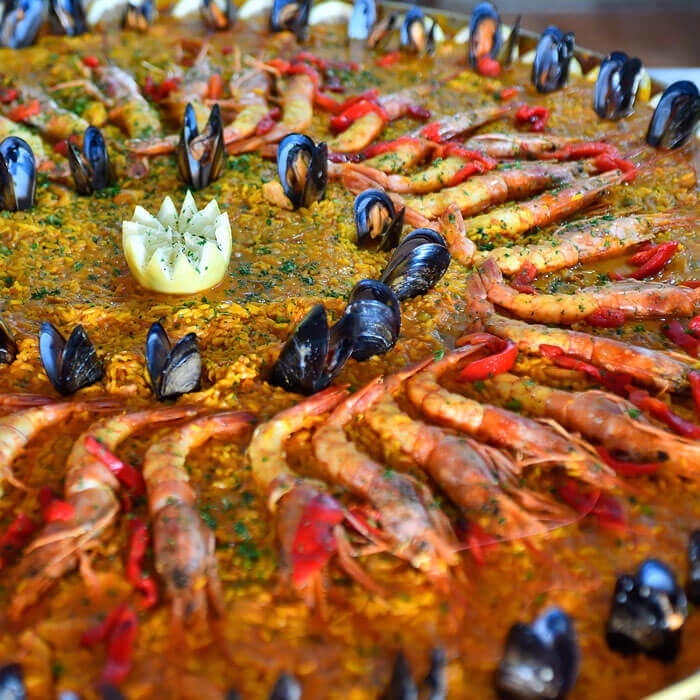 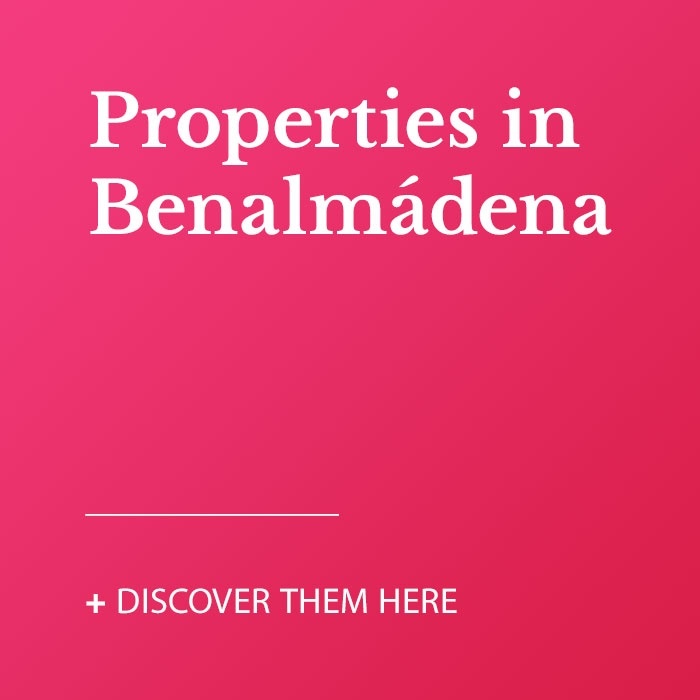 The Villa is only minutes walk to the Hilton Hotel, only approx 15 minutes walk to the beach and approx 10 mins walk to shops bars and restaurants of the popular Benalmadena Pueblo white village. 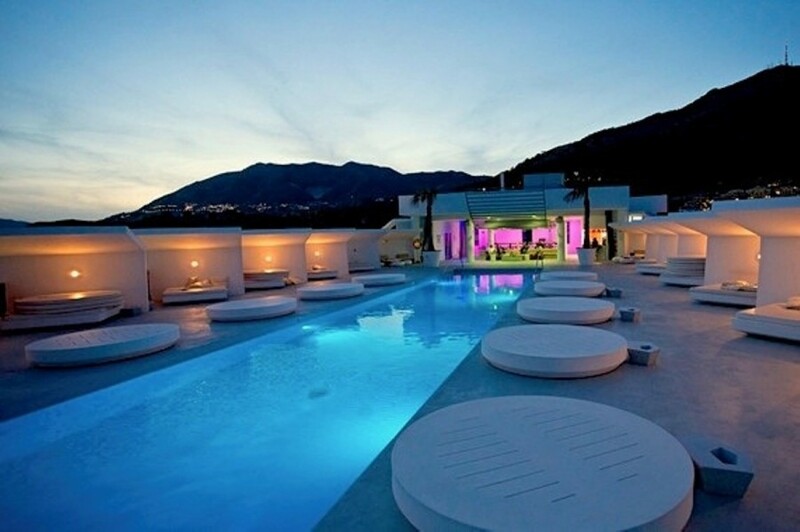 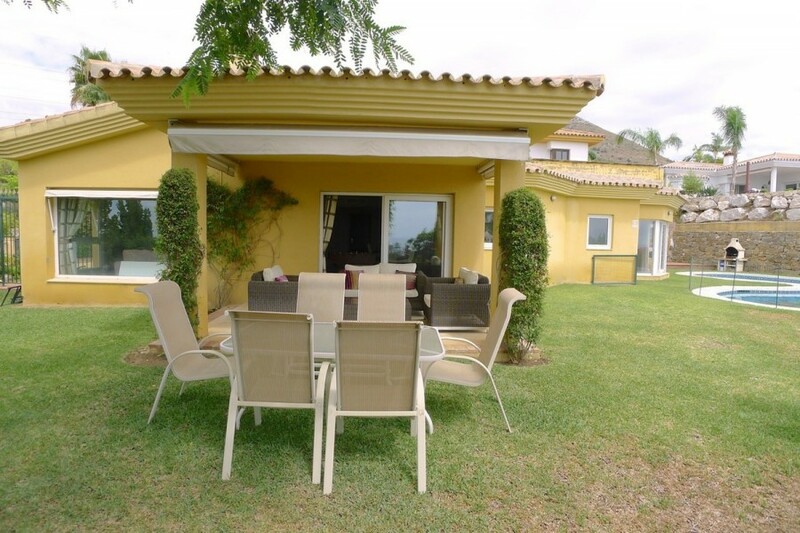 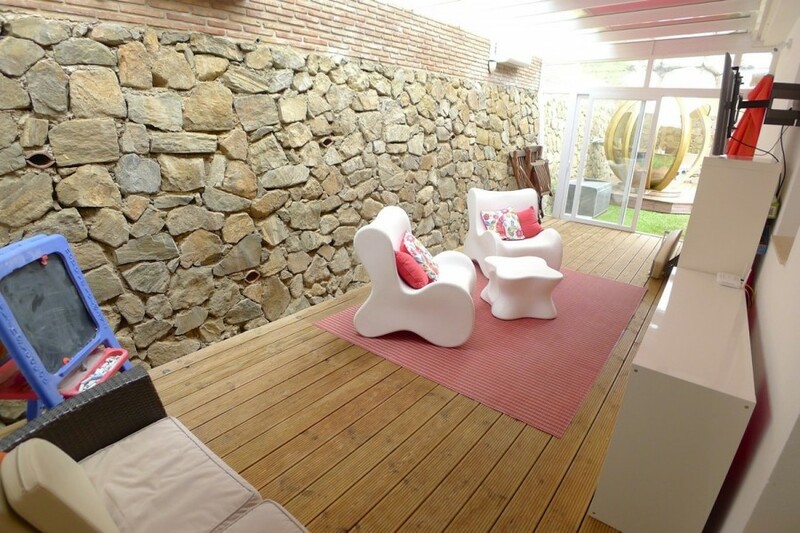 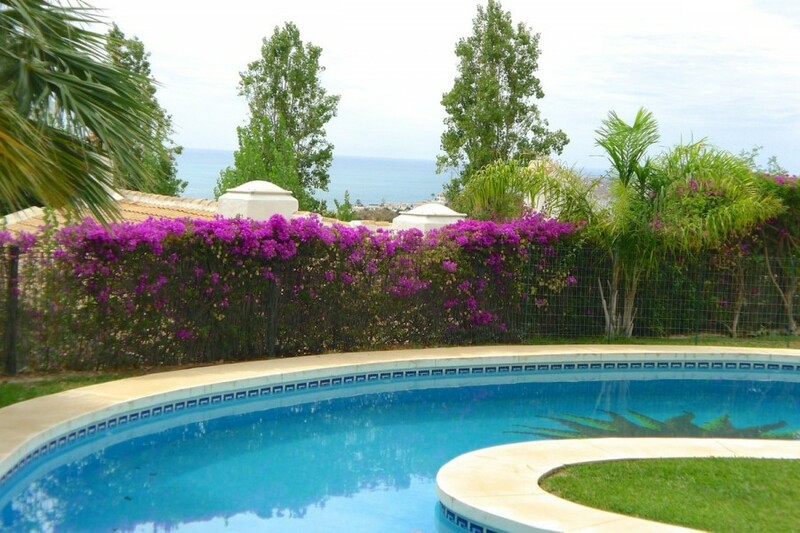 The villa is also only around 10 minutes drive from Malaga airport. 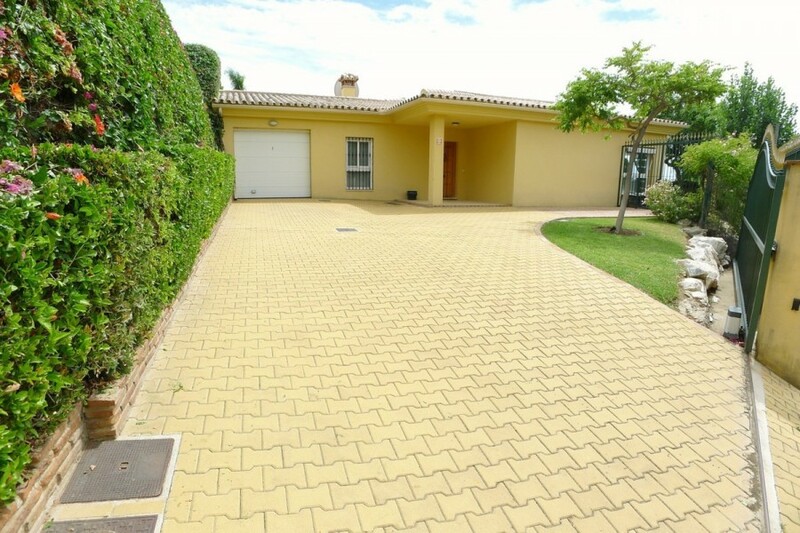 A wide electric gate opens onto large paved driveway offering plenty of off street parking and garage. 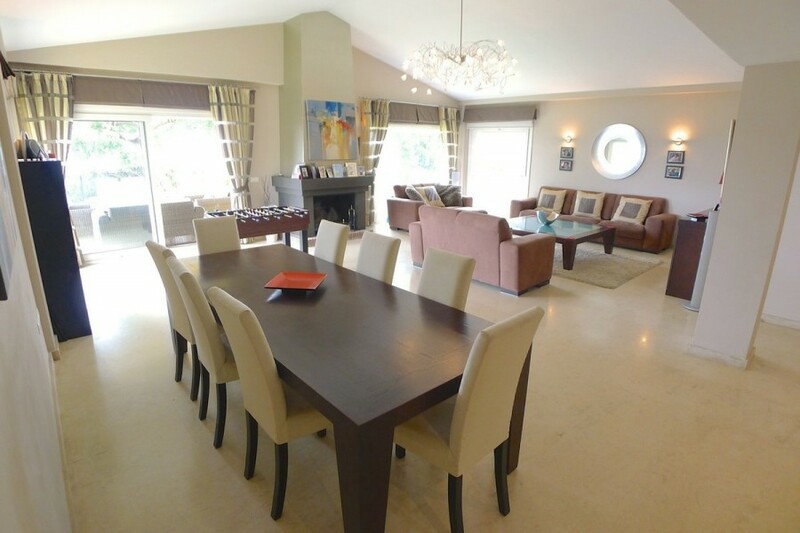 Beautiful and spacious open plan lounge dining area with vaulted ceiling and central feature fireplace. 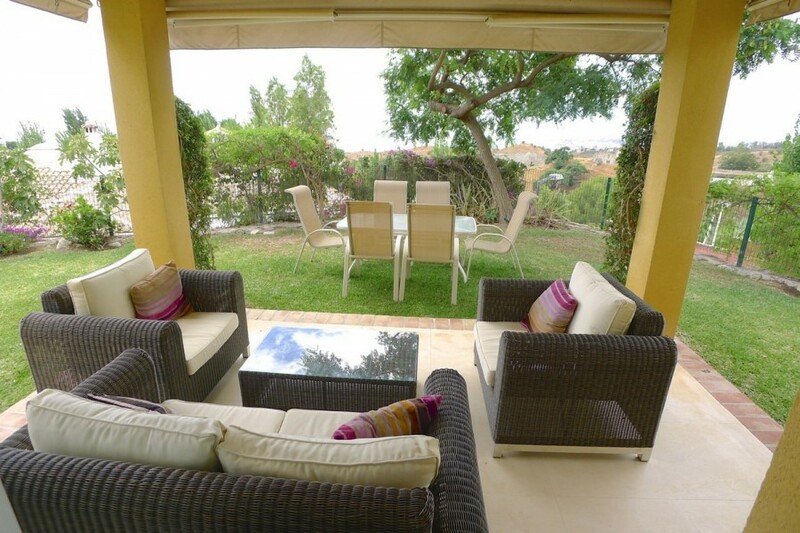 lots of full length windows and patio doors onto shaded terrace all with fabulous views. 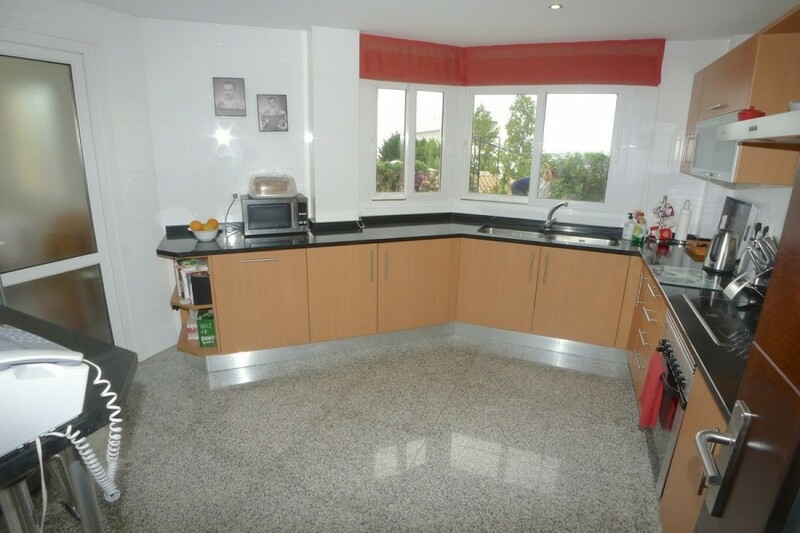 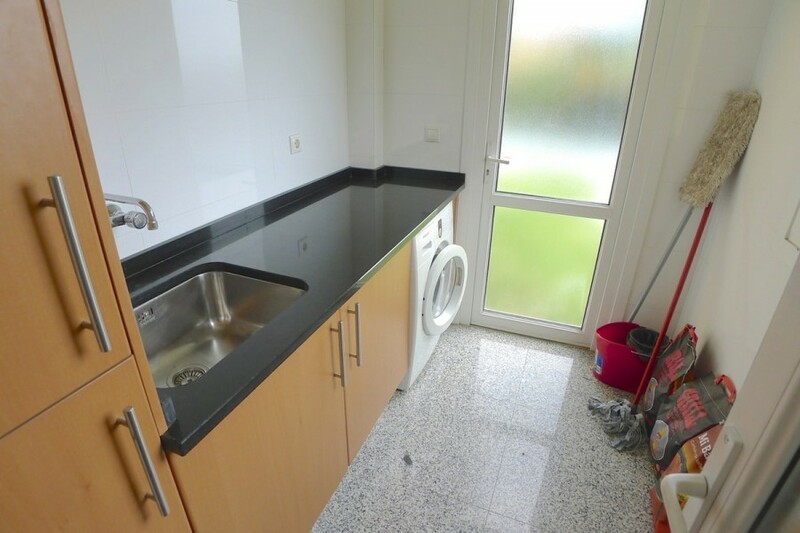 Good sized modern fitted kitchen with marble worktop and separate utility room with door to garden. 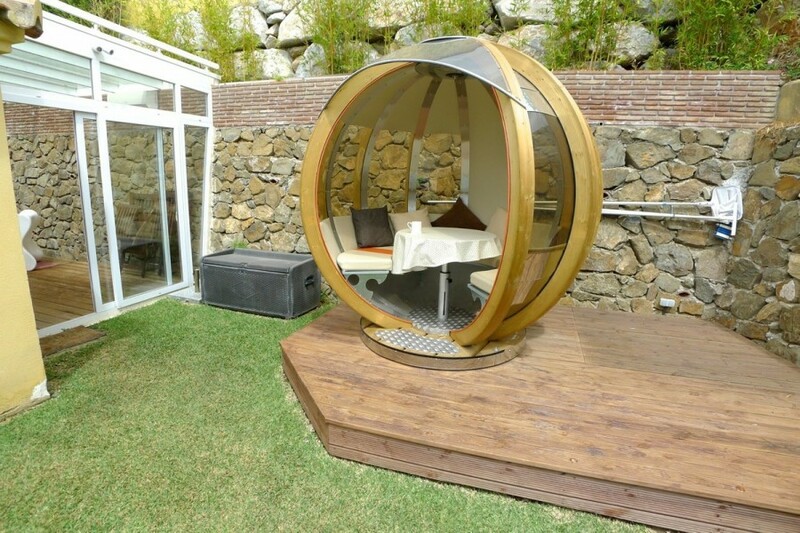 Enclosed glass roof chill-out or play room, with electric roof screen offering both sun and shade. 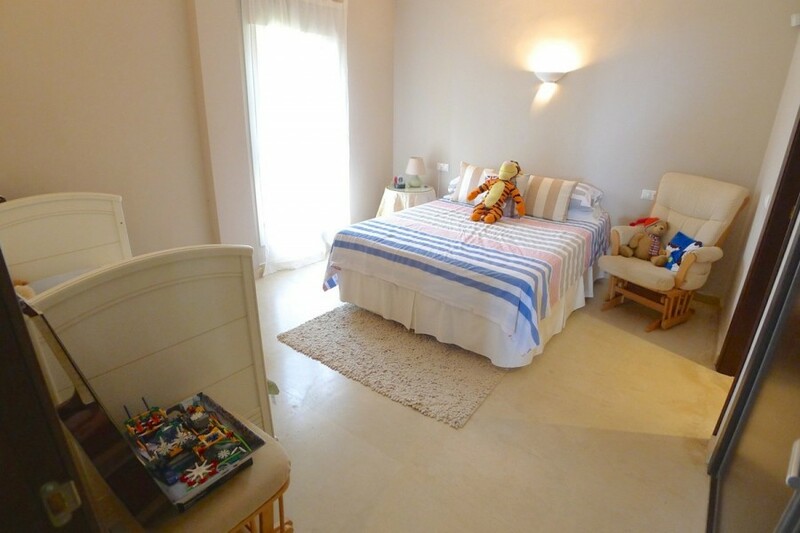 Large master bedroom with fitted wardrobes and luxury en suite bath and shower room, also with large patio windows and doors to garden overlooking pool. 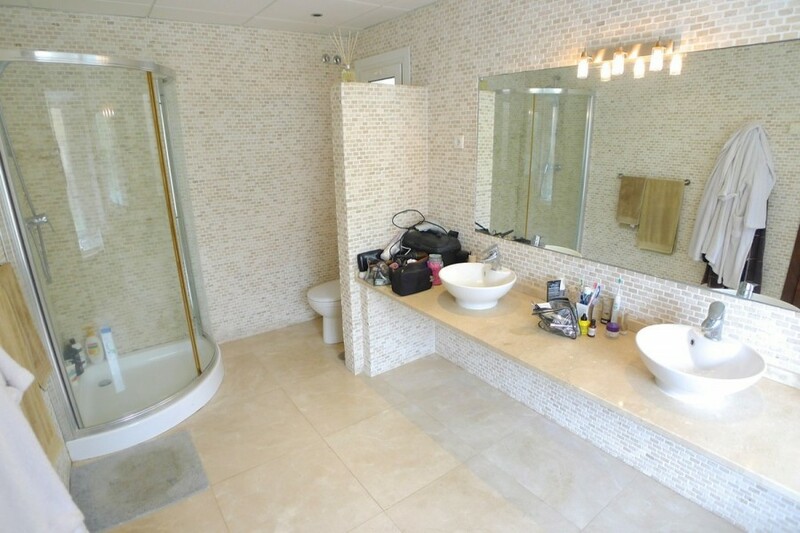 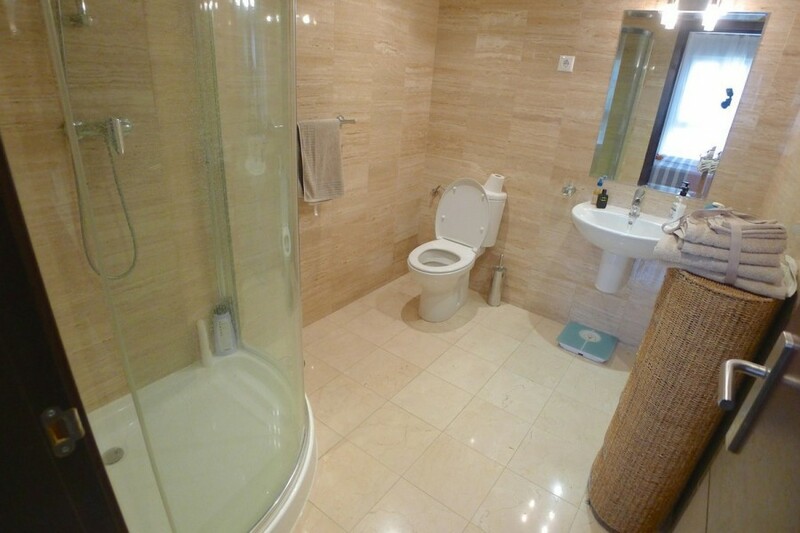 two further large double bedroom both with fitted wardrobes and large luxury bath or shower rooms. 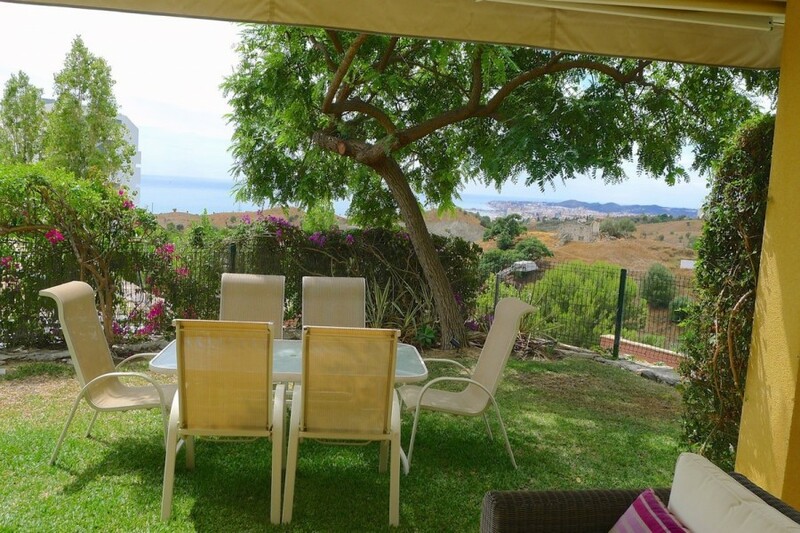 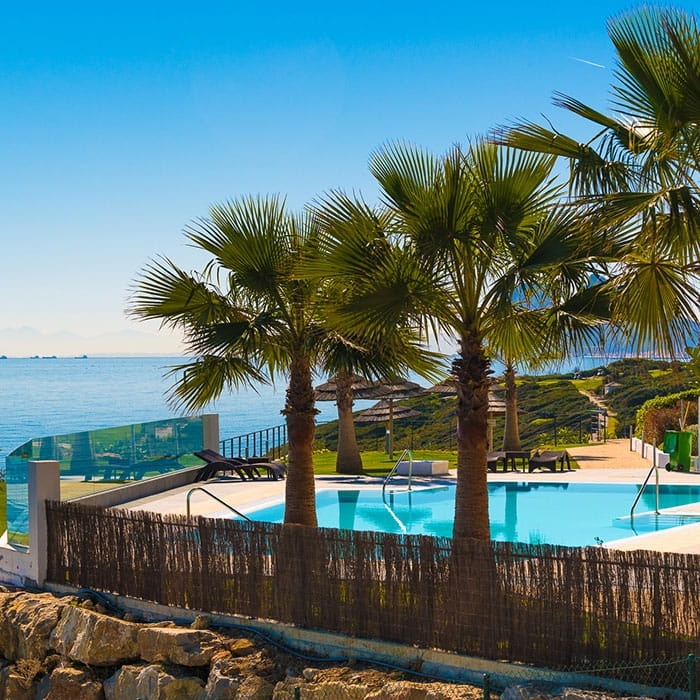  The landscaped and lawned garden has a good size kidney shaped swimming pool and spectacular panoramic sea/coast views including the bay/marina of Fuengirola.